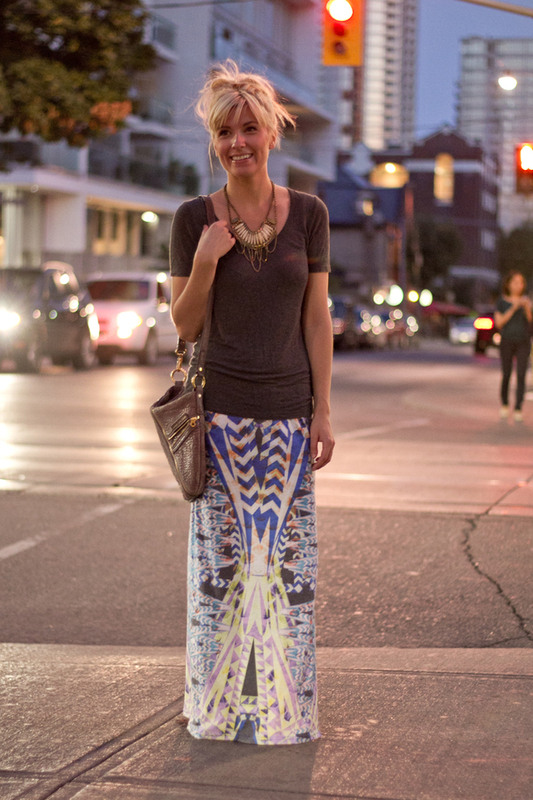 Yes, I'm throwing in another maxi skirt! This one is unlike any other that I have and it's my absolute favourite! Not that I need to explain but how amazing are the colours and it's print? It's so eye catching and easily one of the most comfortable things I own... especially when worn with this ultra soft casual tee. This outfit was so easily thrown together that if I bought it at the start of the summer I would have practically lived in it. I was shopping in one of my favourite shops in Toronto called Bicyclette when I stumbled upon this skirt. As much as I loved it when I first saw it I knew summer was almost over and it made me question if I really needed it since warmer pieces would soon need to be invested in. Feeling hesitant, I kept it in my hands as I continued looking when all of a sudden the young girl that worked at the store (who must have been new-or an expert in sales) saw me and the skirt and said she was thinking of buying it at the end of her shift. It was that moment my decision was made. It was the last one - RING ME UP! Love your skirt! You look amazing!! Hollllllyyy cowww! i am in love with that skirt and your entire outfit. you look amazing!!! i love that the top is so casual and then you do a dramatic bottom, ahhh in LOVE! Wow u look amazing! love the skirt! love ur skirt dear! U look amazing. I would love to follow each other on gfc fb and bloglovin. check out my blog and let me know pretty! That is a gorgeous skirt...I've never seen one quite like this! It's a super fun pattern and really looks casual and chic at the same time. 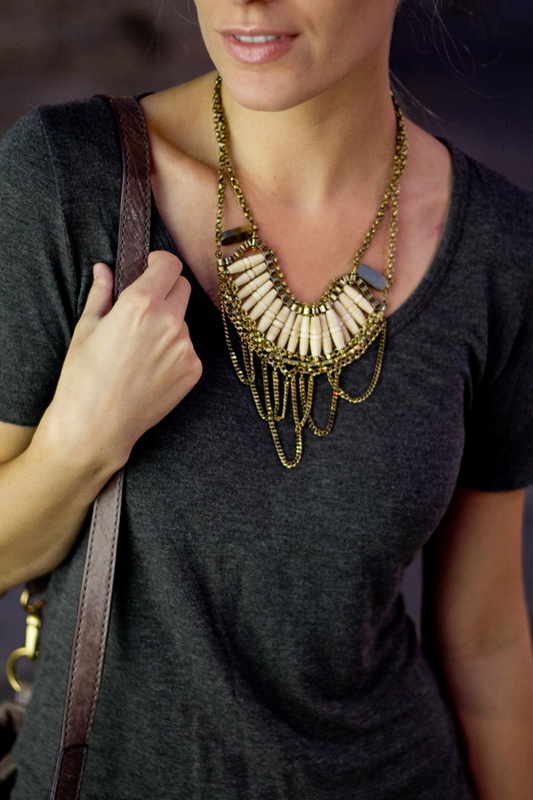 Perfect for a little night out on the town. Gorgeous skirt! You're lucky you got the last one. It looks amazing on you! I love finding a comfortable outfit that looks fabulous! OMG your complete outfit is amazing!! I couldnt resist and I pinned it on pinterest! Love this style! It looks amazing on you! You should wear grey shadows they look amazing!